Dizziness, cold sweat, and vomiting are the main symptoms of travel sickness, also referred to as motion sickness. According to the Telegraph, it affects more than 20 million people in Britain with children, aged between 2 and 12, particularly prone. But what can you do to prevent travel sickness from occurring? We’ve put together a list of different cures, which might help to alleviate the problem. People suffering from motion sickness should try to find a seat where the motion is minimal. On a plane the calmest seat is in the middle near the wings. On a ship you usually experience less motion in the lower cabins near the centre. When travelling on a train, make sure to sit facing forwards and if you’re travelling by car, then it can help to sit in the front seat rather than in the back. Focus on your breathing, try to remember poetry, listen to music or engage your brain in other mental activities. Try not to worry about getting travel sick as this might end up making it worse. This also means avoiding contact with other people suffering from travel sickness as hearing them talk about it can make it worse. In severe cases, you can get medication from the drug store. Most medication has to be taken a few hours before the journey begins. The NHS lists hyoscine (also known as scopolamine) and antihistamines as often used cures. It’s essential that you talk to your GP first before using them or giving them to your children as they have to be used with caution. Avoid eating anything “heavy” prior to and during your journey and ask your fellow travellers to avoid eating food with a strong odour when you’re around. Snack on some pumpkin seeds or ginger products such as ginger biscuits or ginger tea. Ginger is sometimes used to treat nausea and although no scientific studies have been conducted yet to verify its abilities to cure motion sickness, it has been used to treat vomiting and nausea for centuries. 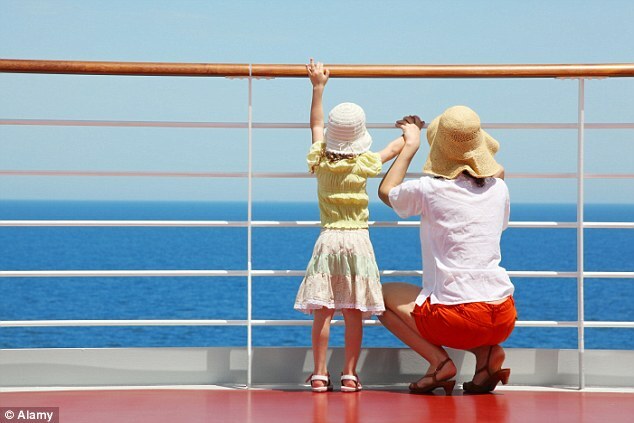 Open a car window or stand on deck if you’re travelling by boat – taking deep breaths of fresh air can stop you from feeling hot and stuffy and can prevent motion sickness. Great read & top tips!! Thankfully my children (touch wood) don’t suffer from travel sickness but I do myself. I used to suffer when I was younger, grew out of it (if you can) and then when I became pregnant with child number 2 it came back and has stuck with me since. I defiantly found that fresh air really helps, although people think I’m mad that I insist on having the window open on the most miserable day. Never knew that about the plane seats though, so will remember that next time i fly. I also use the travel bands and find they can help too especially on longer journeys.